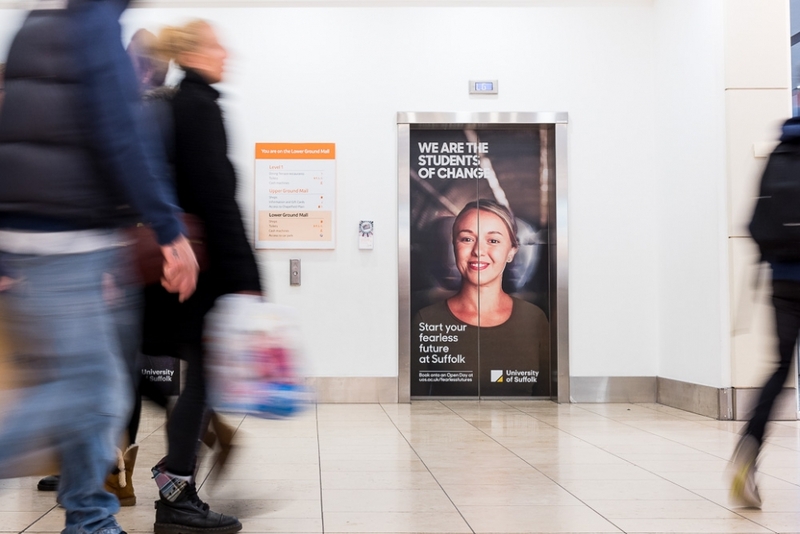 Advertising photography can take many different forms including actually taking photographs of adverts in situ being seen by members of the general public. I work regularly with companies who require evidential photographs of their advert sites at work. In an industry where footfall and exposure of adverts to the correct demographic is essential to a marketing campaign these photographs evidence this and help sell prime advertising space. 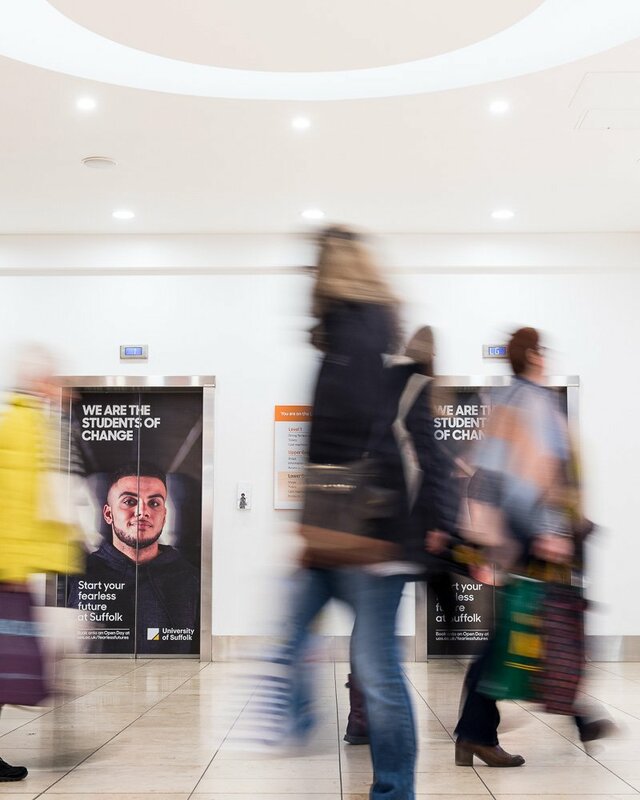 The photography itself utilises a tripod mounted camera, slow shutter speeds and attention to timing to produce photographs that display the passage of members of the public past the advertising space. 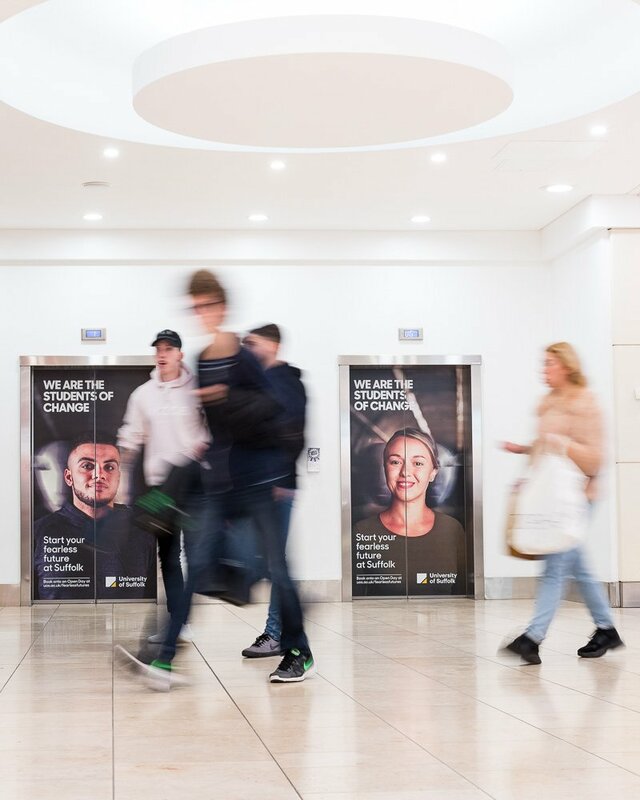 The individuals are naturally blurred in camera to make sure that the advertisements are the focal point of the photograph but that their exposure is evidenced. Various angles and framings are used with a few of these included here. Low angles are favoured to add extra weight to the adverts in their environment.